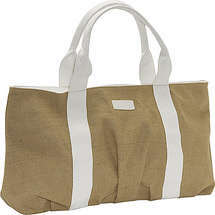 This bag from Walmart is cool and neutral and is certainly large enough to hold a thin blanket, towel, and then some! Looking for something a little more wild? 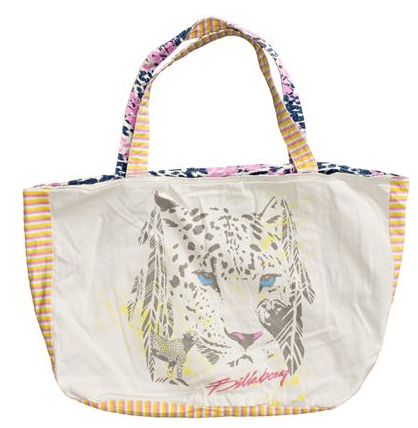 Try this reversible Billabong tote! One side is more subdued and features a graphic screen print of a cheetah while the other is a definite statement, with a full and brightly colored cheetah print! You can never go wrong with bright colors on the beach. We love this spacious, golden yellow bag by Urban Outfitters. It just screams summer sunshine. Oversized graphic prints are a fun way to add personality to your beach wear. 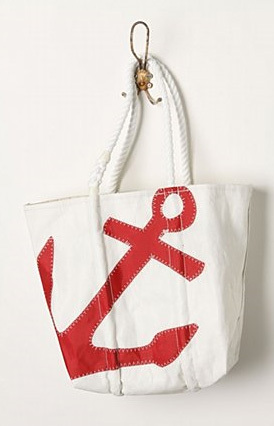 Anchors and nautical prints are perfect for summer and this simple white bag from Anthropologie features a bold red anchor that we adore. When it comes to beach bags, size matters. And, the bigger the better! We really like this extra large black, white, & pink bag from Roxy for it's size and retro style. 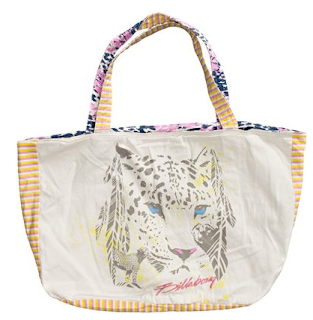 And, what better way to admire the beauty of mother earth's beaches and parks than with an eco-friendly beach bag! 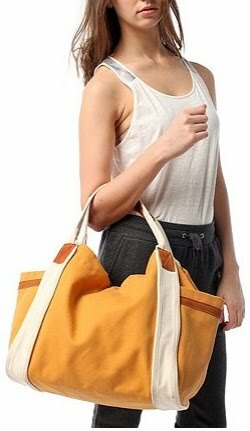 This one, by ikabags, is made of 100% cotton canvas and is sturdy and durable enough to use as a beach bag, laptop bag, or general tote. 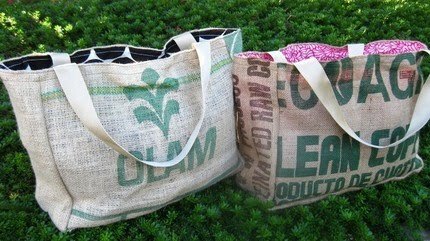 These cruelty free bags, by ShopJessBecause, that are made from fabric remnants and re-purposed burlap/jute coffee sacks. This material is very durable and the bag itself is modern, bold, and big enough for all your essentials. Don't forget to pack your sunblock, otherwise you might end up getting dark roasted yourself. your blog ( http://www.giveawayscout.com/addblog/ ). thanks, Josh"
I have been following your blog for a while and I am extremely impressed with your posts, particularly the one summer office style. We have a fashion and beauty blog, Be In Style (http://pocketchange.become.com/category/fashion-and-beauty), which covers everything from skin care products to fabulous summer dresses. We currently average around 1.5 to 2k unique visitors per day at our shopping blog homepage with users clicking through to an average of 500 single posts. We are always looking for blogs with exceptional content. I feel that your site is outstanding and I wanted to present our Style Award to your blog. If you feel this would be something you might be interested in please let me know and I will happily answer any questions or queries you might have. Can I know where can i find the white bag with the red anchor print...I have been searching this bag long time ago. 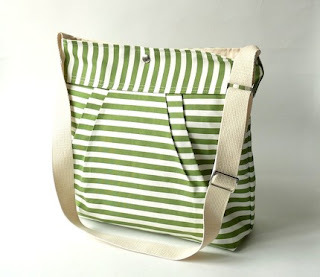 or also check out etsy sellers reiter8 and ecostudionyc. Best of luck!